Meredith explains that most ethnic groups deal with name changes, but Jewish individuals can have multiple names, even two or three versions of personal names, more with spelling variations. Jewish immigrants will have a holy or Hebrew name, a Jewish or Yiddish name and often also a name in the language of the country from whence they have come. All of these names can have different spellings. This requires researchers to know something about spelling variations within the different languages. Upon immigration to the United States, they might Americanize or modernize their names. There are no rules for how these changes occur. The same man can show up in various records with four or five different personal names. Similar changes occur to family names during immigration. Meredith is co-editor of the webzine Success! Stories. These are wonderful, heartwarming stories of families reconnected through resources found on JewishGen.org. For Meredith, this is a labor of love. She finds it emotionally satisfying because it matters. I asked Meredith about the most interesting personal family history connection she has made and she told me a wonderful story, to which I will attempt to do justice here. 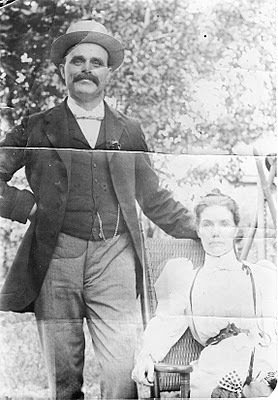 Meredith’s paternal grandmother’s family name was Adler. When her father’s sister, Bessie, passed away, they found a collection of roughly 1000 letters her aunt had received since about 1915. Because Meredith’s grandmother had passed away when her children were small, her children had lost touch with some of their family. In reading the letters, Meredith discovered that Bessie had been doing some genealogical research and trying to reconnect with family. The letters included the names and addresses of the grandmother’s sisters, one of whom was in Mobile and two who were in Liverpool. The oldest letters were obviously tearstained letters of joy from these sisters. A continuing correspondence began between Bessie and her aunts and answers to questions were received, the big one being that the sisters’ family name was Rochaven, not Adler. The cousin, who lives in England, found Meredith because she had mentioned the possible Rochaven surname in her post. The cousin received the information about the same surname from one of her elderly aunts, then searched the internet and found the connection. That summer Meredith traveled to England and met twenty-two cousins from that branch of the family. Through her patient and diligent research, Meredith continues to strengthen the bonds of her family. Over the last eight years, Meredith has reconnected with 102 cousins. This summer when she attends IGHR at Samford, she hopes to meet several more cousins, who live near Mobile, Alabama. This is quite a success story. JewishGen.org is Meredith’s go to site for about fifty percent of her online Jewish research. Meredith recommends that if you have a brick wall, write it up and post it on one of the many discussion lists. This is a great piece of advice and one this writer plans to act on in the very near future. Who the Heck is Ida Gerskill? Meredith’s upcoming class at NERGC is “Who the Heck is ida Gerskill? Researching Jewish Names” and takes place Saturday, April 9th at 8:30 AM. You can find it in the program on page 10. According to the program, her talk will cover “personal, family, and place names and provide strategies for puzzling them out using linguistic and commonsense clues and cues” with examples. Those without Jewish ancestry will also benefit from learning these general principles for dealing with name inconsistencies. 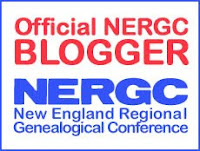 Click here for more information about the 2011 New England Regional Genealogical Conference. How would you like a room with a view of the New York City skyline? It boasts a park like setting, a water view and quiet neighbors, who mind their own business. 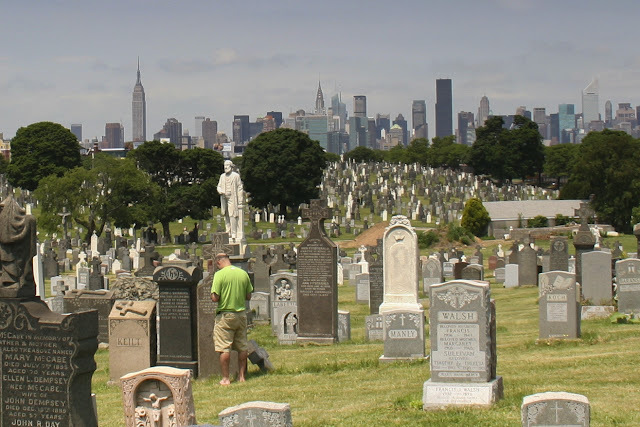 MJ is trying to get the GPS coordinates of this beautiful spot in Old or First Calvary Cemetery in Woodside, Queens County, New York. Woodside is located on Long Island. The story of how we found this grave is part spooky and part serendipitous and I will share it with you on the next Tombstone Tuesday. April 13th will mark six months since I started this blog, The Scrappy Genealogist. For all of this time, my biggest challenge has been blog article planning, specifically planning out my posts several weeks in advance. There are lots of other busy geneabloggers, who have jobs, children and other non-genealogical and non-blogging time drainers. I know I am not alone when a whole weekend will be drained doing something like watching my beloved daughter at a horse show. What I want to know is how do you do it? How do you continue to blog through the chaos? It must involve a good plan. My current one involves a paper planner, but it isn't working. My paper planner has become a great and valuable catch all for blogging ideas, resources and other bits and pieces I pick up from genealogical journals and magazines. My paper planner is not doing its intended job, or rather I am not using it to plan. Does anyone else share this challenge? If you don't share this challenge and are an organized blogger, how do you plan your blog posts? 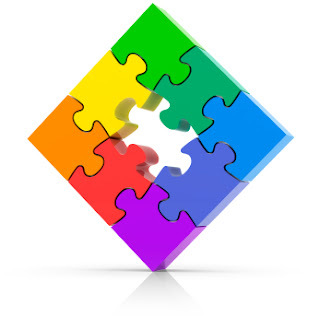 Have you found a book, website, blog, software program or other resource that is particularly helpful or without which you cannot plan? Would you share your method with me and other beginning bloggers? I hope some of you will take a few minutes to share your challenges or words of wisdom. This Scrappy Genealogist will greedily gobble up your words and hopefully become a better or at least more organized blogger. 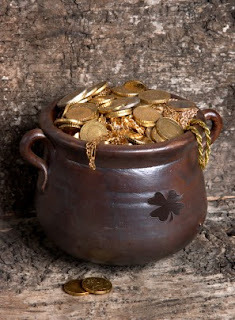 Do you have Irish ancestors? Whether they hail from Ulster, Leinster, Munster or Connacht , you will find a pot of gold resources for furthering your research right here in America. 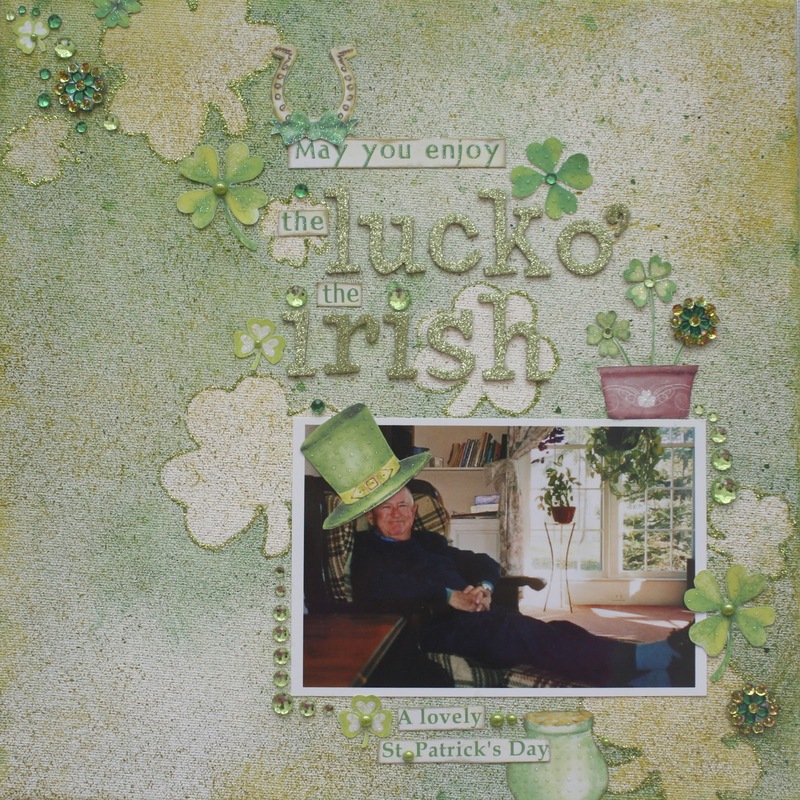 The Irish Genealogical Society International or IGSI located in St. Paul Minnesota boasts a research library (at the Minnesota Genealogical Society Library), a website, a bookstore and classes. Library staff and volunteers offer assistance with research and brick wall problems. Sounds great Scrappy Gen, you say, but I don't live anywhere near Minnesota. Well, neither do I and you don't have to! IGSI offers web content, including an online card catalog, a periodical collection list and for members an online index to IGSI periodicals. The periodical collection is extensive and includes the IGSI quarterly journal, The Septs. The Septs is the reason I just renewed my membership through the end of 2012! Each issue of The Septs includes topics ranging from general to specific. The January 2011 issue began with a comprehensive article on using newspapers for research. Subsequent articles narrowed to research with specific Irish newspapers. The Septs always includes articles for beginners and discusses key points like conflicting evidence. More advanced researchers will find helpful articles such as one in the January issue titled "Creating a Census Alternative" written by Dwight Radford. While this periodical is written for those with Irish roots, any genealogical researcher could make use of the methodology within its pages . Additional membership benefits include a search function for all IGSI online content, a surname list and search function and the Genealas eNewsletter. Membership in the Irish Genealogical Society International is just $25 through the end of March, after which it will rise to a paltry $30. If you live at a distance from Minnesota and wish to forgo the print addition of The Septs, you can elect for an electronic subscription at the current rate of $25. All issues from 1980 through the present are available to members to download and read in pdf format. For anyone with Irish roots, this is the best $25 bucks you will spend. Still not convinced? Members and nonmembers alike can access the Research Guidelines section. It begins with an excellent Intro to Research by Tom Rice, CG. Last, but not least, IGSI has started a blog called Irish Research Notes... IGSI can also be found on Facebook. While the IGSI blog does not appear very active, the blog in combination with with the IGSI digital offerings and its Facebook presence, announces that this is a society embracing social media and well positioned for the future of genealogical research. and a lovely St. Patrick's Day! According to oral family tradition, this couple hailed from England. Evidence thus far shows William born in Belfast, Ireland and his parents and siblings living at Farranalessary, Ballymoney, Antrim, Northern Ireland through the years of his birth. Perhaps I am a wee bit more Irish than I thought! Are you heading to Springfield in April? No? It is not too late to register. This Scrappy Genealogist will be there from the very beginning to the very end. Stop by registration from 3:00 - 7:00 on Wednesday and say hello. I would love to meet you! Below is the most recent email with updated conference details. Permission to email, copy, and print this E-zine in part or whole is granted. Welcome to the eleventh New England Regional Genealogical Conference 2011 E-zine! Between now and April, we’ll continue to provide updates on the Eleventh New England Regional Genealogical Conference through periodic E-zines like this one. Please share them with your friends and associates—and anyone else you feel may be interested in attending the Conference. Appointments are now being taken for the Ancestors Road Show! Go to the NERGC website (http://www.nergc.org/NERGC2011/index.html) and click on the Ancestors Road Show link at the left. Decide the time and/or consultant that fits your needs, click on the picture and fill out the form. Remember to include the What, Where, When and Who of your question. You will hear back with a confirmation of a specific time for your consultation. Don’t be disappointed by waiting—some consultants are already fully booked. If you have trouble registering, try another consultant or contact shellee@shelleemorehead.com . Start thinking about what you’d like to talk about over lunch. Members of the Association of Professional Genealogists, New England Chapter, will be at each table at Saturday’s luncheon to guide a focused discussion. You must be registered for the luncheon in order to attend, but there is no registration for specific tables. Seating at each table is first-come, first-served. A number will be assigned to each table, and the numbers will be available on the NERGC website and Blog prior to the conference. They will also be posted on-site at the conference. - DNA testing and genealogy Shellee Morehead, Ph. D.
Robert S. Cox, who was to present “Family History at UMass Amherst: What and How to Find It” has had to cancel his appearance at the Conference (F-204). He will be replaced by Laura Prescott who will present “Treasures Within the Ivory Tower: Finding Family in Academic Archives,” a presentation on resources that are available at New England academic archives. Laura’s biography can be found in the Registration Brochure and at http://www.nergc.org/NERGC2011/speakers.html. Cemetery Workshop S-308 will be held in the Sheraton’s King George Suite, not in an actual cemetery. (The workshop was designed to be able to be presented inside, and this is what would have been done in the event of inclement weather.) If you’re already registered for the workshop and wish to withdraw because it is being held inside, you may do so without penalty. If you were thinking of registering but had reservations because it was going to be held outdoors, it’s not too late to add it. The session will include a PowerPoint presentation, many show-and-tells and perhaps even a small repair on a child's gravestone. The block of rooms set aside for us at the conference hotels are now fully booked. Some rooms might still be available at the regular rates. There are some other options for housing during the conference. The Hilton Garden Inn, 800 West Columbus Avenue, Springfield, Mass., (413) 886-8000, near the Basketball Hall of Fame, is in the same price range as our hotels and may have some rooms available for the nights of our conference. The Greater Springfield Convention & Visitors Bureau provides links to a number of accommodation options at http://www.valleyvisitor.com/accommodations.html and to transportation options at http://www.valleyvisitor.com/transportation.html. The day rate for parking in the Sheraton’s garage is $4.00 per day (with tickets validated at the Sheraton coat check or front desk) or $9.95 per night for guests at the hotel. Guests can come and go as often as they would like. The Sheraton no longer offers valet parking. The garage clearance is 7’ 2” so standard trucks and vans should have no problem getting in. The Tower Square garage connected to the Marriott Springfield (and across the street from the Sheraton) offers 1,200 well-lighted, covered, and secured parking spaces. The parking is $5.00 per day for daily commuters attending Marriott events. The Marriott’s discounted overnight rate at Tower Square for Marriott guests is $15.00. Ticket validation will be available from banquet bartenders or at the NERGC Hospitality Table on the Sheraton’s Second Level Foyer, one level down from our Exhibit Hall in the Sheraton Grand Ballroom. In addition, there are parking garages (I-91 North garage and I-91 South garage), behind the Marriott and the Sheraton. Both hotels use these garages for their overflow and both hotels will validate the parking ticket for a discount. There are a number of food options in and near our conference hotels. The food court located on the Upper Level of the adjacent Tower Square Mall, is open 11:00 a.m. to 3:00 p.m., Monday through Saturday, and offers a variety of options (Combo Wok, Fantastico, LeGreque, Mex Table, Tower Grill, and Villa Pizza) at reasonable prices. Tower Square’s Lower Level includes Dunkin’ Donuts and Hot Table Grilled Panini as well as the sit down restaurants Champions Sports Bar & Grill and Currents Fine Dining. Peter’s Grille, in the Sheraton, will be open Thursday, Friday, and Saturday from 5:30 to 9:00 p.m.
Registrants with special meal requirements and/or special needs as outlined in the Americans with Disabilities Act must detail those requirements in writing to NERGC by 25 March 2011. Each registrant who has registered for a meal and indicated a special need will receive an e-mail with the chef’s recommendations. Exploring New Paths to Your Roots is being held in two hotels across the street from one another. Here are locations of some of the events. Conference Registration/Check-in takes place on the Sheraton’s Second Level Foyer on Wednesday from 3:00 – 7:00 p.m.; Thursday from 7:00 a.m. – 6:30 p.m.; Friday from 7:15 a.m. – 6:00 p.m.; and Saturday from 7:15 a.m. – 1:30 p.m.
Hospitality, Queries, Volunteers, and Evaluation tables will be near the Registration Booths on the Sheraton’s Second Level Foyer. Thursday’s Opening Session runs from 10:00 – 11:15 in the Marriott Grand Ballroom. Thursday’s Society Fair and Social Hour will run from 5:15 – 7:00 p.m. on the Sheraton’s Third Level Foyer, just outside the Exhibit Hall. Thursday’s Exhibit Hall Grand Opening takes place from 6:00 – 7:30 p.m. in the Sheraton’s Grand Ballroom (third level of the hotel). On-site registration for the Ancestors Road Show runs from 6:00 – 7:30 p.m. at the New England Chapter of the Association for Professional Genealogists booth (Booth 7) in the Exhibit Hall. Road Show hours are 8:45 – 11:45 a.m. and 1:45 – 4:45 p.m. Friday and Saturday in the Sheraton’s Kilkenny and Waterford Rooms (third level of the hotel, not far from the Grand Ballroom). For locations of many other conference activities and lecture sessions, see the daily schedule sheets via links at the Conference home page. Past recipients of NERGC’s Donna Holt Siemiatkoski Volunteer Award have included Thomas F. Howard, Cherry Fletcher Bamberg, Cheryl Willis Patten, Marcia Iannizzi Melnyk, Rev. Dr. Robert L. Rafford, and Cecilia Marianne Rose. Who will this year’s recipient be? The winner will be announced in this year’s syllabus and the award presented at the banquet on Saturday, April 9. The eleventh New England Regional Genealogical Conference – Exploring New Paths to Your Roots—is now three weeks away. Nearly 700 genealogists and family historians from a variety of backgrounds have already registered for the conference, its meals, and its workshops, and librarians and teachers are signing up for the special Librarians’ and Teachers’ Day. We are only 3 weeks away from the Conference opening, and the Early Bird registration has passed. (Link also available on the conference home page www.NERGC.org .) This method requires payment by credit card. 2. If you prefer, you can still mail in your registration. Print the registration from the brochure at http://www.nergc.org/NERGC2011/program.html or use a paper copy of the brochure. Fill out the registration form on page 16 and mail it with your check to the address at the bottom of the form. Cancellations postmarked before Friday 25 March 2011 are subject to a $15.00 processing fee. No refunds are available after 25 March 2011. 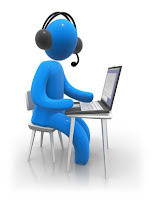 Those registering through our online registration service, RegOnline, have an option to purchase cancellation insurance. Please note that this cancellation insurance covers things like unforeseen medical emergencies or a death in the family and does not cover NERGC’s $15 cancellation fee. Sorry, the cancellation insurance option is not available for mail registrations paid by check. Your payment must be paid online with a credit card to take advantage of the cancellation protection. Details are available at the RegOnline site. Please read the fine print before selecting this option. Kathleen’s presentation will address the unique dilemma librarians and archivists face: to protect and preserve the materials in their collections for future generations while making the fascinating and useful information they contain available to researchers of the present. The Berkshire Athenaeum serves as both a public library as well as an archival repository through its Local History Department. In this session Kathleen will present strategies used at the Athenaeum to make its vast collection of primary reference materials such as maps, photographs, diaries and scrapbooks more accessible to genealogists, teachers, students and other researchers. Additionally she will discuss how the use of new digital technologies and targeted collection arrangement at the Athenaeum has streamlined the research process. Kathleen has been a member of the Athenaeum’s Local History Department staff since 1979 and brings the unique perspective of providing reference assistance in her extensive collection while overseeing its maintenance and development. The registration brochure is available in PDF format at http://www.nergc.org/NERGC2011/program.html. It contains the full conference program, plus information on available luncheons and banquets, research trips, and special events. Print out or bookmark the brochure and plan your conference experience. Printed brochures have been distributed to Participating Societies and to many local libraries, museums and senior centers. DON’T HAVE TIME FOR THE ENTIRE CONFERENCE? If you don’t have time for the entire Conference, single day registrations are available at $90 per day. See our online brochure (www.NERGC.org ) or our online registration site https://www.regonline.com/nergc_2011_exploring_new_paths_to_your_roots . Two Special Activities are already fully booked: the research trip to the Berkshire Athenaeum and the orientation program at the Springfield History Library and Archives is full, but there is still room in two other activities on Wednesday. You can still visit National Archives and Records Administration, Pittsfield, with us on Wednesday, 6 April ($30 fee for transportation). Or take a tour of Springfield Cemetery (Wednesday, 11 a.m. or 2 p.m., free). Registration is required for all of these activities, even the free ones. Please see below (adding meals and workshops) for instructions on signing up if you’ve already registered for the Conference. 1) Go to http://www.nergc.org/NERGC2011/index.html , click on “HERE.” Click on “Already Registered?” next to the email address space. Log into your account (your email address and the password you chose). 3) The meal options will pop up. Make your selections and follow directions to complete your additional choices. If you run into difficulty, contact Mary Choppa, registration chair, at mchoppa@myfairpoint.net . If you registered by mail, you can send a copy of that registration, mark on it “PREVIOUSLY REGISTERED,” and indicate what you're adding. "Come join us to talk about strategies and hints for researching your Jewish ancestors. Depending on your interests, we might look at how to find the records of your immigrant ancestors, both here and in the "old country"; how to find people if they've changed their names; how to find the villages that your ancestors came from; how to locate families lost or scattered by the Holocaust. Bring your questions and research problems and we'll look at both online and local resources that could help you in your search." Special Interest Groups are informal discussion groups that will take place on Thursday, April 7 at 7:30 p.m. For a complete list of Special Interest Group topics, check out the NERGC website at: http://www.nergc.org/NERGC2011/specialinterestgroups.html. Our exhibitors are offering products and services to help in your research, document your findings, and help preserve your treasures. We also have many genealogical and historical societies exhibiting, so no matter where your family is from in New England, there will be representatives of societies who can help you in your research. The Exhibit Hall will be open from 6:00 to 7:30 p.m. Thursday evening, 7 April, and there will be "unopposed" exhibitor times throughout the conference between lectures and meals for everyone to browse. Don’t miss visiting Legacy Family Tree’s booths (52 - 53). Legacy will be raffling a Netbook computer in the Exhibit Hall on Saturday. There will be a special Door Prize ticket for you in your registration packet. Details/rules will also be in your registration packet. Exhibitor set-up in the Exhibit Hall (Sheraton Ballroom) is scheduled for 10:00 a.m. – 5:00 p.m. on Thursday, April 7. Exhibitor breakdown runs from 4:00 p.m. to 7:00 p.m. on Saturday, April 9. Please don’t begin breaking down your exhibit prior to 4:00. Also a reminder that NERGC’s Exhibitors that are selling items must obtain and pay for all required licenses, permits, and sales taxes. This includes both for-profit and non-profit corporations. Please be sure that you have registered with the Massachusetts Department of Revenue to be in compliance with sales tax guidelines. Exhibitors who are having a book signing in your booth, please contact Marian Pierre-Louis at marianpl@fieldstonehistoricresearch.com . Marian with be coordinating all the book signings for NERGC 2011 and will take care of arrangements for signage, publicity, etc. Please contact her as soon as possible to make arrangements. The Signage Committee has been studying the layout of the conference and will be providing tons of signage to guide attendees to venues in the two separate hotels. The signs will need to be put in place at the beginning of each day and between lectures and will take only a few moments of your time during the conference hours. Help us to keep the conference on track. If you are able to help in changing signs, please send your name to Volunteer Chair Christine Bard at: bardc@comcast.net. This volunteer opportunity is guaranteed to be one of the most rewarding. Thank you in advance! Jay Sage, Daphnah Sage, and Rob Locke, Signage Chairs. We still need volunteers to have full coverage during the conference. Please e-mail me if you can fill one or more of these volunteer openings: You can also find my updates on the Facebook group. For each hour volunteered you will receive a raffle ticket for daily raffles. If you are bringing a spouse or friend along for the ride, please ask if they will help out as well. They don't have to be registered for the conference to volunteer for non-session volunteer opportunities. Please e-mail Volunteer Chair Christine Bard at bardc@comcast.net to sign up to volunteer. Tickets are just $10 PER PERSON for either game. For information on “what to do, and where” during your non-conference hours, visit the web site of the Greater Springfield Convention & Visitors Bureau, http://www.valleyvisitor.com/. ; Their web site has a myriad of things to consider, including opportunities for exploration by those who are in Greater Springfield with you but not attending the conference. Check out NERGC on the web! In addition to the NERGC website (www.nergc.org) you can now follow NERGC on the NERGC 2011 blog, Facebook and Twitter. Any Facebook member can join the NERGC Facebook group. It is located at http://www.facebook.com/#!/group.php?gid=183089100494. In fact, people have already started posting to let other people know they will be attending NERGC. Join and see which of your friends are attending and get to know other genealogists. 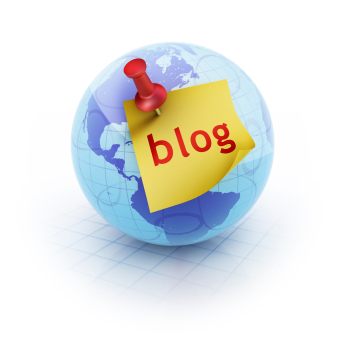 The NERGC 2011 Blog is up and running with new content every day. Check out information on the speakers, exhibitors, sponsoring societies and much, much more. It’s a fun way to prepare for the conference and you can ask questions and leave comments too. Find the blog at http://nergc2011.blogspot.com. Is Twitter your preferred form of communication? NERGC 2011 is there too! Chat with NERGC and other attendees too. It’s a great way to keep up with the latest while on the go. If you have Twitter on your smart phone you’ll never miss any updates. Find NERGC at http://twitter.com/NERGC. MISSING A BACK ISSUE OF THE E-ZINE? As a subscriber, you know that NERGC E-zines are a great way to keep up with information about the Conference. Missing back issues? Go to http://www.nergc.org/NERGC2011/ezine.html. Have friends who aren’t yet on the E-zine mailing list? Encourage them to send an email rootsearcher@email.com and write "subscribe" in the body of the email. This E-zine is sent to you at your request or because of your involvement in past NERGC conferences. We welcome your thoughts and suggestions for items to appear in future issues. Please send them to Nora Galvin at auntlizzie@snet.net and put the word e-zine in the subject line. Please feel free to share this newsletter with others. Permission to email, copy, and print it in part or whole is granted. Your address will NOT be shared, and there will be no advertising as a part of the E-zine. © 2011 New England Regional Genealogical Consortium, Inc.
Where is your plan? Is it up in the air? 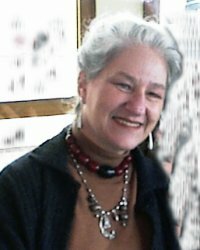 Sharon Sargeant, internationally recognized forensic genealogist, will present a Research Planning Workshop at the New England Regional Genealogical Conference in April 2011. Sharon attracted international attention for bringing conflicting evidence to light in the case of Misha Defonseca's autobiography, Misha: A Memoire of the Holocaust Years. She went on to similarly debunk two other self proclaimed Holocaust survival stories. Sharon prepared Module 2 for the Boston University Genealogical Research Program and is currently writing a book about investigative genealogy. Sharon and I connected last Wednesday via Skype for a conversation about her thoughts on conducting genealogical research and jigsaw puzzles. The session turned into my own research planning seminar. To say that Sharon is passionate about research planning is an understatement. She is equally as passionate about making the Genealogical Proof Standard process accessible and comprehensible. From her teaching experience at Boston University and in workshops, Sharon became aware that both research planning and the Genealogical Proof Standard mystified many of her students. She realized she needed to demystify research plans, provide concrete examples and bring the abstract concepts to her audiences in a simpler way. How does Sharon help her students to understand and use the Genealogical Proof Standard? She gets it right out there in the beginning of the research planning so that newer researchers will get used to using it. Or, for more advanced researchers, she has them go back to review or essentially step through their information again with the G.P.S. in mind. Sharon's goal is to bring the standards to the plan and illustrate why they expedite it. Sharon's students learn how to keep the G.P.S. awareness right up front in research planning as a reminder to look at the big picture, keep thinking about the evidence, keep track of sources, extract all information and resolve conflicting evidence. After learning the concepts about how to create a research plan with the G.P.S. as a guide, then what? Sharon tells her students, when beginning to try to solve a genealogical puzzle, do the edges first! Give your problem boundaries. The edges are the pieces of evidence that give proof of time and place. Keep all of the middle pieces, even if you don't think they fit. Keep them just in case. Sharon suggests that if we try to do the middles first, we will be like water circling around the drain, the drain being the holes in our research. She says get the concepts, then do the straight edges. Figure out what you have that is solid evidence and build on that. Don't focus on the holes! Any researcher from beginning to advanced would benefit Sharon's upcoming workshop. Beginners will get solid tools for approaching their research. Advanced or experienced researchers will get a better idea of where they are in their process. 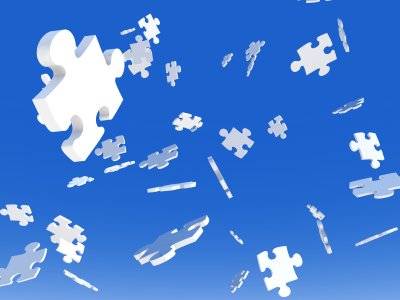 With a plan in place all researchers will feel less overwhelmed. Sharon's goal is to give her students tools they can use again and again. Students do not have to prepare anything in advance of the workshop, but they might find it helpful to focus on one problem that they would like to solve. This could be a beginning or a brick wall problem. Sharon Sargeant will present her Research Planning Workshop in Springfield, Massachusetts on Friday, April 8th from 8:30-10:30 AM at the New England Regional Genealogical Convference (NERGC). This workshop requires a fee and advance registration. More details can be found in the conference brochure on page 8.